You might remember Elizabeth from some earlier images. It turns out that both Elizabeth and her mom are photographers. I am looking forward to seeing their work at sometime in the future. This particular image is one of recognizing the beauty in the lines formed by her stand combined with the billowing of her dress as the summer wind flowed by her. As with so many good images, knowing that you are seeing a photo worthy scene is more than half the battle. See beauty. Capture beauty. Lines, form, and even story combine. Who is this young woman? Why does she wear such old styles? What is she looking at through her view finder? 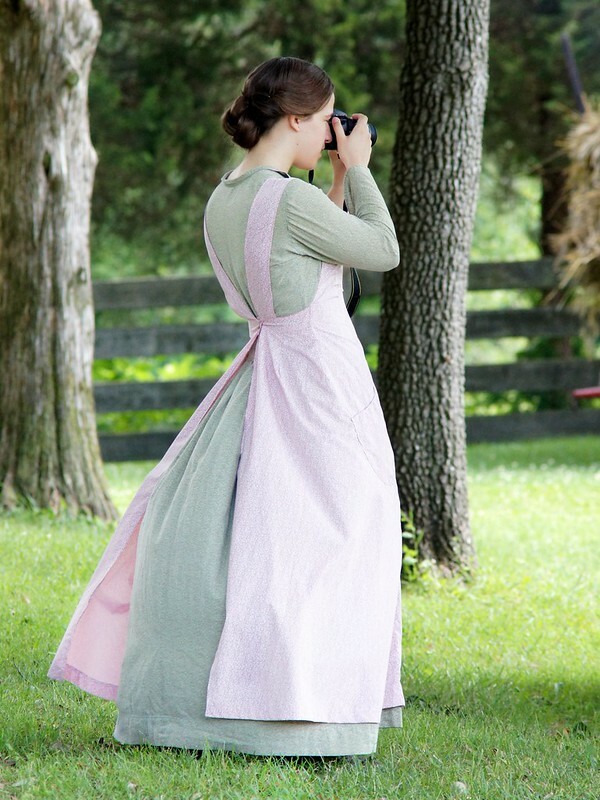 How do the modern camera and old dress come together? There is nothing in the image that gives us answers and we are left to our own imagination. Oh Tim! I love this so much. Very well seen! Amy, you always make my day with your wonderful comments. Thank you!